← August Hits and Oh God No’s 2014! 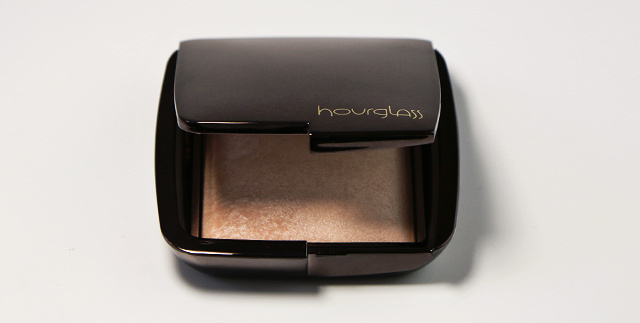 Luminous Light ($45.00/€35,57 for 0.35 oz/10 g) is by Hourglass described as a champagne pearl that creates a soft, incandescent candlelit glow—day or night. It’s a gorgeous champagne pearl with a slight pinkish tint. It’s pretty awesome actually, depending on the angle you’ll sometimes see a champagne pearl, other times a dash of pink, other times a beautiful mixture of both. 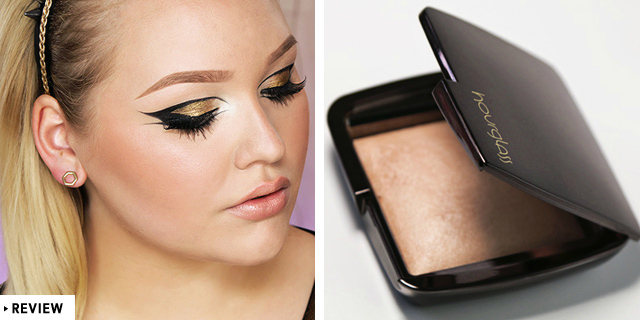 Most Ambient Lighting Powders are recommended to use all over the face. With Diffused and Ethereal light, this is most definitely the way you want to go. With Luminous light however, please don’t. Luminous light is a lot more shimmery and glowy compared to the other ambient lights. Therefore, I highly suggest using Luminous as a highlighter, rather than all over. The formula is soft and super finely-milled. In fact, it is so soft that every time I pick some of the product up with my brush, a little bit of excess powder builds up in the compact. 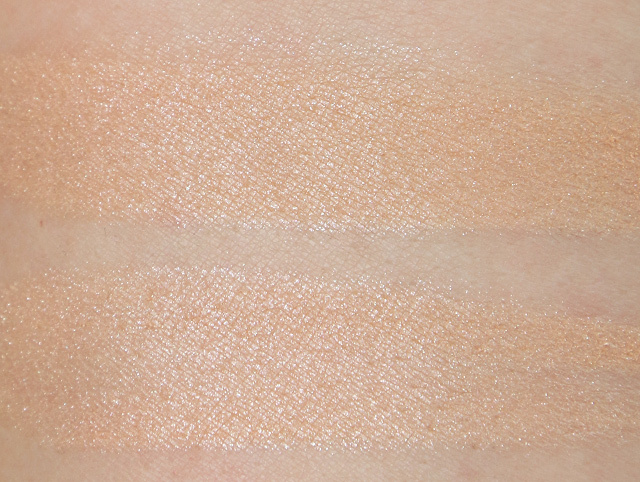 I love how Luminous light actually is… luminous. It’s definitely not too shimmery or frosted. 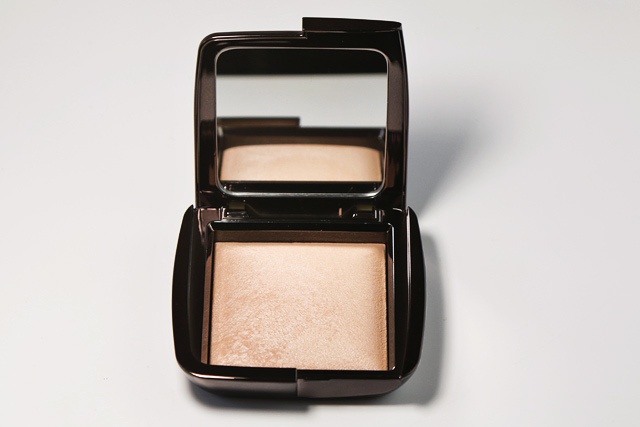 It gives the complexion a striking, glow from within look without taking it too far. It adds a natural looking radiance without looking like a disco ball. 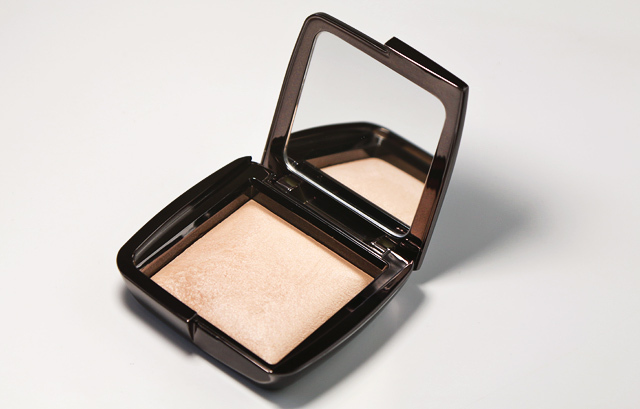 It illuminates the face, rather than emphasizing pores like some highlighters can. One thing I do want to mention is that on my NC15 skin, I had to be careful not to apply too much, as in some angles the powder could look a little warm and dark. The lasting power was good, too. I got around 8 hours of wear out of it. Because it isn’t too frosty to begin with, fading of the product won’t look as obvious. 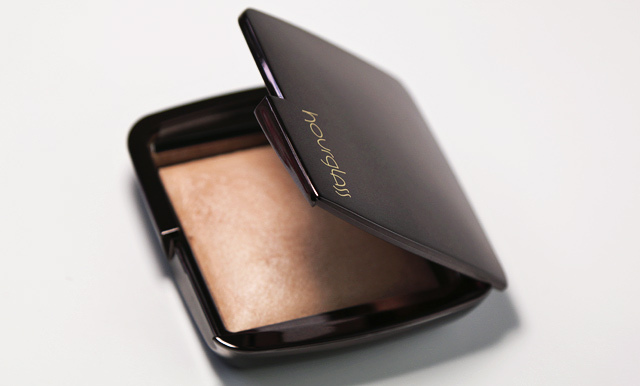 The Hourglass Ambient Lighting powders have been a true joy for me so far. Diffused is great for reducing redness and giving the skin a fresher feel. Ethereal is perfect for giving the complexion a beautiful, soft radiance. 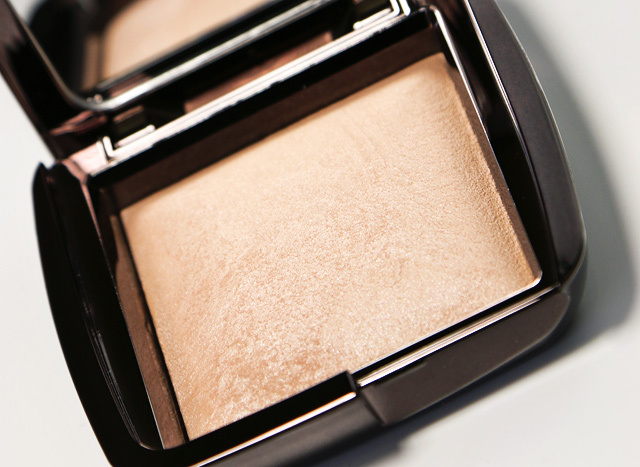 And now with Luminous, I can also give my face a gorgeous, glow from within look. The Ambient Lighting powders are fantastic. I might go as far as to say that I think everyone needs one in their collection. They might be expensive, but they’re definitely worth the buzz. What do you think of Luminous Light? 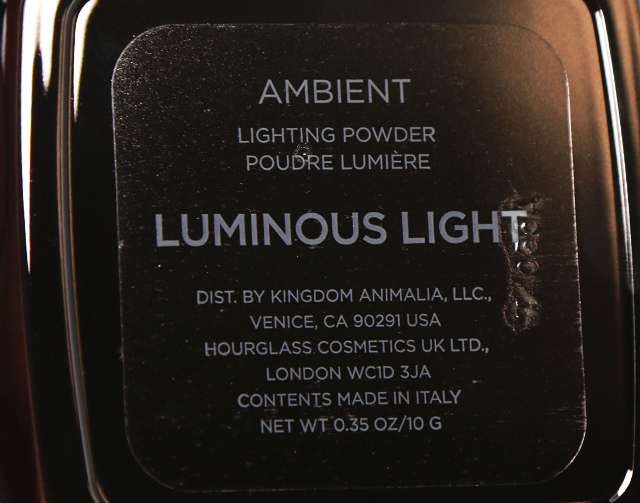 Have you tried the Ambient Lighting Powders? What shade did you like best? Share in the comments below! Ik heb deze helaas nog niet op veel andere NL beautyblogs langs zien komen. Ikzelf heb een NC10 huid (Misschien zelfs NC8 maar die bestaat niet) en ben zelf dol op Diffused light. Op mijn verlanglijstje staat nog Ethereal Light. Denk je dat deze ook geschikt is voor een NC10 huid? En kan hij -zonder er als een oranje glitterbal uit te zien- ook goed over het hele gezicht als je een lichte huid hebt? I have the Ambient Light Palette and Diffused Light, and I found that the darker colors really color me in (I have NC15 skin as well), so I use Dim and Radiant shades as blush and bronzer. 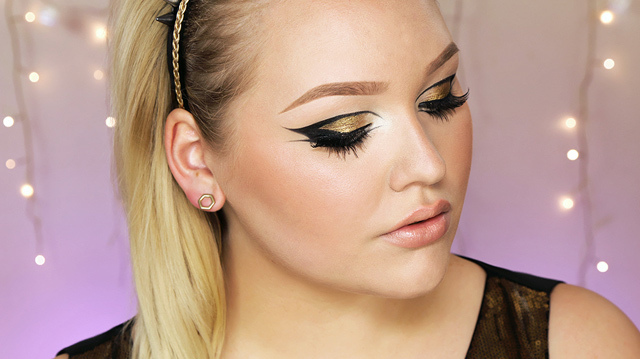 The Diffused and Iridescent shades however are transparent, but give a nice subtle glow for me. I find them to be finishing powders, not highlighters. Luminous is the most hyped online of all the powders for a flawless, poreless face, so I was really wondering about it. Given what you said about the color it adds to your skin it might not be the best shade for me? I just wonder if the lighter shades will also create an imperfection-blurring-glow without coloring my face. Ethereal Light, perhaps? You’d think a shade professing to imitate candlelight would be best, but maybe for us yellower-toned pale skinned girls a moonlit glow is better? What do you think? Have you tried the other shades?